Madame (Marie) Tussaud is arguably the world’s most famous wax sculptor. Born in France in 1761, she began her artistic career during the French Revolution, searching through corpses to find the heads of noted guillotine victims from which she made death masks. She herself was imprisoned for three months awaiting execution, but an influential friend intervened and she was released. She and her waxwork friends toured throughout Europe for 33 years before settling into a permanent exhibition in 1835 on Baker Street in London. There she gained prosperity and fame, managing her wax museum until her death on April 16, 1850. 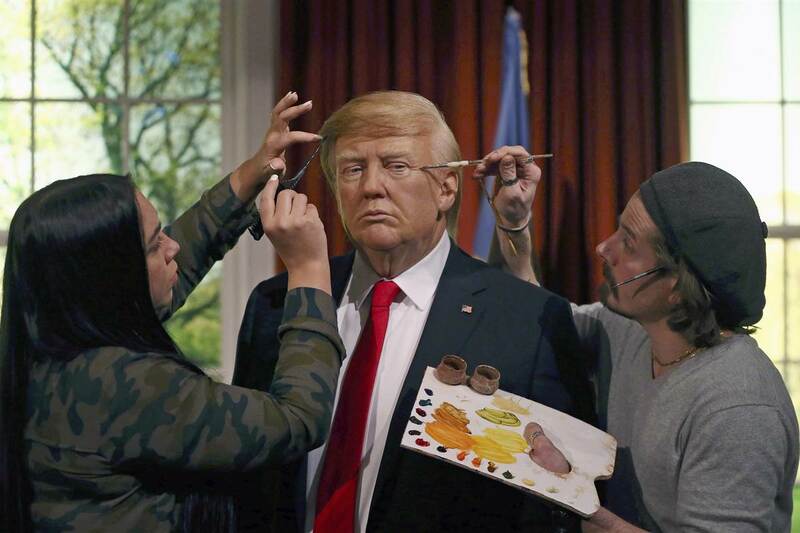 Throughout Madame Tussaud’s long existence, its most popular feature has been the Chamber of Horrors (as pictured here). 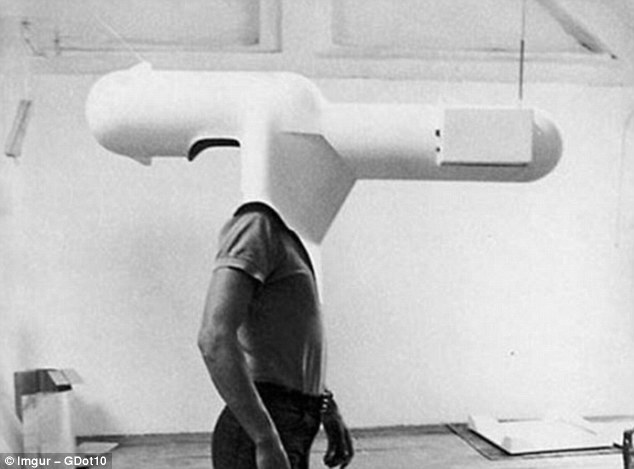 Inventor Walter Pichler is the genius behind the amazing TV helmet of 1967. This device allows a user to leave the outside world and slip into his or her own little world of information and entertainment. The user simply inserts his or her head into a capsule that resembles a small submarine and hopes that he or she doesn’t bump into something while enjoying the “virtual world” of Gilligan’s Island. Born in the Oklahoma Territory, he and his brother went into wholesale produce only to be wiped out by plunging oil prices. After studying all the latest methods for retailing groceries, they bounced back with a chain of self-service stores featuring woven baskets for carrying groceries. The stores were a big success, and they were bought out by the Safeway chain. Once again hard luck hit; their Safeway stock tanked during the Depression. And once again they bounced back; by the mid-30s they were half owners of the Piggly Wiggly chain. Goldman continued to dream about customers moving more and more groceries. And one night in 1936 he had a eureka moment — inspired by a wooden folding chair. Put wheels on the legs and a big basket on the seat and you have a shopping cart. Goldman and a mechanic friend began tinkering. They devised a metal cart with not one but two wire baskets. For efficient storage, the carts could be folded and the baskets nested. Goldman called his invention a folding basket carrier, receiving a patent on April 9, 1940. When the carriers were introduced to the public, Goldman encountered one tiny problem. Customers didn’t want to use them. Men thought they would look like sissies pushing a cart. Women felt like they were pushing a baby carriage. And older shoppers thought it made them look helpless. Goldman was always ready with another idea. He hired attractive models, both men and women, to push the carts around, as well as charming greeters urging customers to take one for a spin. 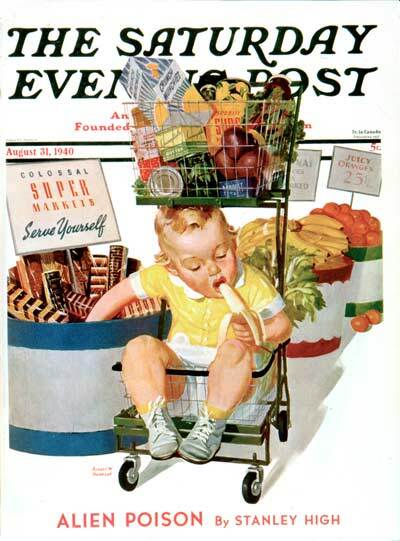 By the 1940s, the carts had become so much a part of the American shopping experience that the Saturday Evening Post devoted its cover to them. And they got bigger and bigger until they got tiny as little icons on websites everywhere. Goldman’s Folding Carrier Basket Company is still in business today. Goldman isn’t. He died in 1984. Every bit of island treasure still remained buried when Elton figured he had earned a break at the Crab Hole. He carefully draped Clarence Henry’s blue denims over a large rock so they might dry while he wet himself inside. Those pants hadn’t been on the rock ten minutes when who should walk by but that rogue Randall. “My pants!” he said, remembering the blue denims but somehow forgetting their origin and rightful ownership. He scooped them up, went around back of the Crab Hole, slipped out of his pants and into Clarence Henry’s snappy blue denims. They were damp, but still soft. Out of a sense of fairness, Randall stretched his own pants over the rock, before heading off to an afternoon liaison with none other than the wife of the man whose pants he wore. As foolish a person as Randall is, had he remembered whose pants he wore, he would not have worn them to this particular rendezvous. But he didn’t, so he did. Fortunately, Clarence Henry’s wife paid so little attention to Clarence Henry’s pants that she didn’t recognize Randall’s blue denims as her husband’s very own. And once Randall had arrived at Clarence Henry’s house and adjourned to Clarence Henry’s bedroom with Clarence Henry’s wife, Clarence Henry’s pants were a forgotten heap on the floor next to Clarence Henry’s bed. This particular liaison was interrupted in mid-passion by the sound of a door slamming. “What’s that?” said Randall, jumping up. “That would be Clarence,” answered Clarence Henry’s wife. Randall, on his way to becoming something of an expert on hasty exits without pants, dove out the window. Clarence Henry’s wife could have made her husband a very happy man had she just remembered who the true owner of the blue denims was. But she didn’t, and she threw them out the window after Randall. 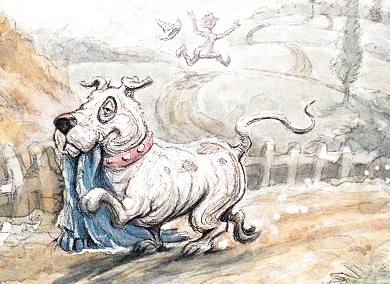 To Randall, the pants flying out the window were a Godsend, or so he thought until, trying to don them on the run, he was spotted by that good dog, Mango. Mango knew those pants, knew they did not belong to this young rogue. He chased Randall for half a mile, nipping him in the behind until Randall dropped the pants. Mango then gave him one last punitive nip and let the naked young man flee. Then Mango returned those pants to Clarence Henry. But was he thanked for his efforts? Rewarded? No, he wasn’t. That poor dog was punished. But Chicken Avery had promised a proper moral. And a proper one he delivered, for Clarence Henry who had taken a stick to his one true companion would never enjoy those blue denim trousers again. By the time Chicken Avery’s story had been recounted several times, Clarence could not strut around in those pants without everybody laughing at him. And if folks weren’t laughing, it was because they hadn’t heard the story. So they soon heard it, because Chicken Avery felt an obligation to tell them about the marvelous life those pants had had when Clarence Henry wasn’t in them. Inventors are born every day, and April 5, 1951, was no exception. Dean Kamen was an inventor as well as a master of hype. Among his inventions are the iBOT an all-terrain electric wheelchair and a device that uses compressed air to launch SWAT teams to the roofs of tall buildings in a single bound. Interestingly enough, Kamen’s father was an illustrator for Mad and Weird Science. The most famous of his inventions by far was a closely guarded secret that he claimed would change the world when made public. Among those touting its revolutionary potential was Apple’s Steve Jobs. Unveiled in 2001, the Segway is an electric, self-balancing human transporter. It has two parallel wheels and is controlled by the shifting of the operator’s body weight. Its computerized gyroscopes make it almost impossible to tip over (although George W. Bush did in a test drive). Consumer reaction was more a whimper than a bang. About the only groups it caught on with are mall and airport security personnel. Adding to the insult, Time Magazine included the Segway in its list of the 50 worst inventions. British entrepreneur Jimi Heseleden bought the Segway company in 2010. He died that same year when he fell off a cliff while riding his Segway. Another important invention made its debut on April 5, 1939 — Dr. Elbert Wonmug’s time machine. Oh, there had been time machines before this, but this would be the first to transport and honest-to-goodness caveman from way back in the Bone Age right into the 20th century. 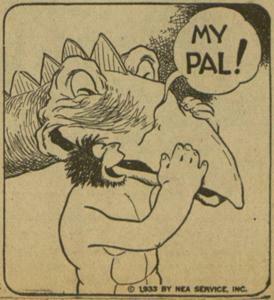 The caveman was none other than Alley Oop, beamed in from the kingdom of Moo where for the past seven years he had been doing typical caveman things — riding around on his pet dinosaur in a furry loincloth, brandishing his big club at his many enemies, and courting the lovely Ooola. But once in the 20th century with a time machine to beam him about, Oop was no longer bound by prehistoric limitations. He became a roving ambassador, traveling to such destinations as ancient Egypt, Arthurian England and the American frontier, rubbing elbows with such folks as Robin Hood, Cleopatra, Ulysses, Shakespeare and Napoleon. At one point he even visited the moon. Pretty impressive for a Neanderthal. In addition to being a member of the British peerage, Edward, Marquis of Worcester, who died on April 3, 1667, was a bit of a dabbler, a sort of ersatz inventor, and author of an odd little book called A Century of Inventions. The book, written some ten years earlier, describes, as the title suggests, a hundred speculative projects, none of them, however, detailed enough to allow a reader to actually put them into practice: secret writing with peculiar inks, explosive devices that would sink any ship, ships that would resist any explosive devices, floating gardens, a method to prevent sands from shifting, automatic assault pistols and cannons, a timer for lighting candles at any time during the night, a hundred-foot pocket ladder, flying machines. Although many of his ideas foreshadowed later inventions, it is unclear whether he had thought through the methods by which they would work. One idea was put to work with success although unusually so. As the owner of Raglan Castle, he had constructed some hydraulic engines and wheels for bringing water from the moat to the top of the castle tower. During the Civil War, Roundheads had approached the castle with not the best of intentions. The Marquis had his waterworks put into play. “There was such a roaring,” he later wrote, “that the unwelcome visitors stood transfixed, not knowing what to make of it.” On cue, one of the Marquis’ men came running toward them shouting that the lions were loose. The intruders tumbled over one another down the stairs in an effort to escape, never looking back until the castle was out sight. The Marquis’ 100 nifty inventions most likely did not inspire Time Magazine to create its list of inventions at the turn of this century, although it could have. The Time list heralded fifty creations that it called the worst of all time. Wretched Richards Almanac has visited some of these in the past and will visit others in the future (like on April 5). The list includes such sure-fire ideas as Hair in a Can, Tanning Beds, Venetian-Blind Sunglasses, Smell-o-Vision, Hula Chair and many more. Our story begins in Philadelphia where Hymen J. Lipman in the mid-19th century became one of the city’s leading stationers and founded the first ever envelope company in the United States. Lipman didn’t just content himself with envelopes. His vision took him to pencils as well. And on March 30, 1858, the forward-looking Lipman earned himself a patent for a pencil with an eraser built right into one end of it. This was a giant step for the pencil industry. Enter Joseph Reckendorfer. Reckendorfer looked at Lipman’s pencil and saw dollar signs. He also saw himself as a titan of the pencil industry. He would be to pencils what Rockefeller was to oil, what Vanderbilt was to railroads. He bought the pencil patent from Lipman for $100,000 (the equivalent of a couple million today). But alas it wasn’t to be. Pencil manufacturer A. W. Faber began producing eraser-tipped pencils without paying a penny in royalties to Reckendorfer. Reckendorfer sued Faber. In 1875, the lawsuit made its way to the Supreme Court which declared the patent invalid, reasoning that Lipman’s design combined a known technology, the pencil, with another known technology, the eraser, not creating a new use which was bad news for Reckendorfer. 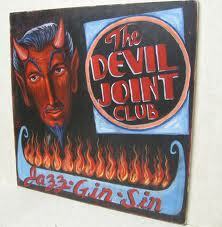 Zion is far removed from New Orleans and its bordellos, a place synonymous with jazz and sin. The city was founded in 1901 by John Alexander Dowie as a place where people of faith could come together and live in a moral environment. The population was 24,413 as of the 2010 census. Zion is one of only a few cities in the world to have been completely planned out before building. And Dowie thought of just about everything. The north-south roads in the original plan are all named from the Bible –Ezekiel Place; Gabriel, Galilee, and Gideon Avenues; Matthew, Mark, and Luke, but no John. And no Duke Ellington Circle or Thelonious Monk Boulevard. In 1906, Eleanor Roosevelt, then a young mother living in New York City, bought a cage made of chicken wire and hung it outside the window of her townhouse. The cage was for her daughter Anna to nap in and enjoy the fresh outside air. Her neighbors threatened to call in the authorities. Young Eleanor wasn’t really a wicked mother; she was just a few years ahead of her time. 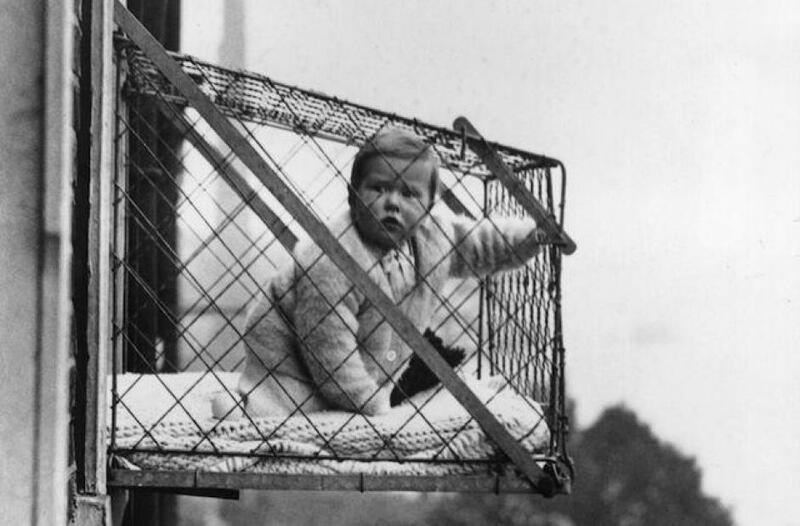 Fast forward to the 1930s; baby cages are a booming business, particularly in London. In between, Emma Read of Spokane, Washington, had the foresight to apply for a patent for “an article of manufacture for babies and young children, to be suspended upon the exterior of a building adjacent to an open window, wherein the baby or young child may be placed.” She envisioned a cage with removable curtains and an overlapping slanted roof to protect the suspended tyke from rain and snow — And from rattles and other toys maliciously thrown by the rotten little kid in the cage on the floor above. 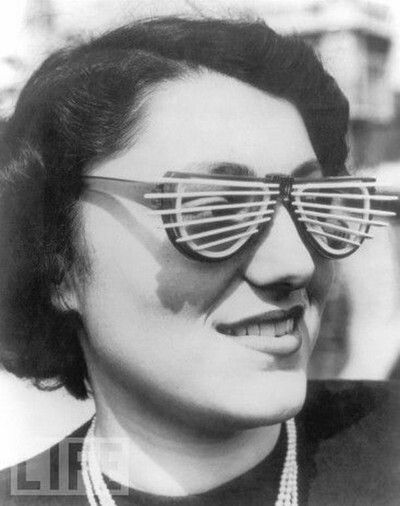 Her patent was granted on March 13, 1923. Interest peaked and petered out in the 1950s, and the baby cage disappeared into history despite the fascinating concept of children being caged. An advanced civilization inhabited Mars, but the times were desperate. The planet was becoming arid, and the Martians had constructed a series of canals and oases in an attempt to tap the polar ice caps. This was the theory espoused by Percival Lowell based on studies from his observatory in Flagstaff, Arizona, during the early 20th century. Lowell was born on March 13, 1855, and after many years traveling in and studying the Far East, he turned his attention to the far reaches of space. He was all over Mars, writing three books on the red planet that captured the public imagination and helped give rise to the notion of men from Mars. 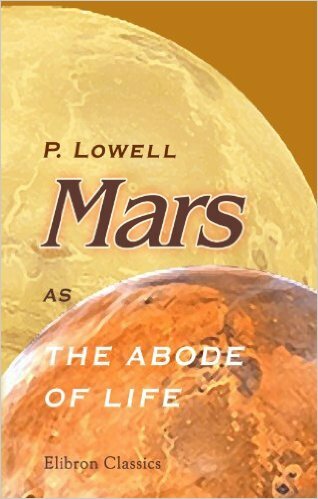 The existence of canals was later disproved by more powerful telescopes and space flights, but Lowell would make a more important contribution to planetary studies during the last years of his life. Turning from Mars to Neptune and Uranus, Lowell became convinced that their positions were affected by a hypothetical Planet X. Lowell began searching for the mystery planet in 1906. Dying in 1916, Lowell himself did not witness the discovery, but the Lowell Observatory announced on what would have been his 75th birthday — March 13, 1930 — that they had discovered the planet Pluto. Sadly, after nearly a century as our ninth planet, Pluto was cruelly downgraded to the status of dwarf planet in 2006. And the name Pluto will become more associated with the Disney hound dog of that name. 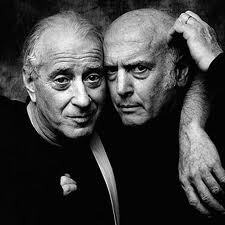 Mike Stoller (right), born March 13, 1933, working with his partner Jerry Leiber, helped shape rock and roll with an amazing list of hit songs beginning with Hound Dog in 1952. Elvis Presley , the Beatles, the Rolling Stones, the Beach Boys, John Lennon, Otis Redding, Jimi Hendrix, and Frank Sinatra top the list of the many artists who have recorded their songs. More than three dozen of their hits were featured in the Broadway production Smokey Joe’s Cafe including the title tune, Young Blood, Dance With Me, Searchin’, Kansas City, Poison Ivy, On Broadway, Yakety Yak, Charlie Brown, Loving You, Jailhouse Rock, Spanish Harlem and Stand by Me. Who would have thought back on March 10, 1876, that in a hundred or so years practically every other human on the face of the earth would have a phone pressed against the side of his or her head at any given moment. Certainly not Alexander Graham Bell as he was in the process of making the very first phone call. It wasn’t much of a call, certainly not long distance. Bell called his assistant Thomas A. Watson who was in the next room. The phones they used weren’t much to behold; they looked more like tin cans connected by a long string than today’s sleek models. But nevertheless they made history. Enter the quibblers. Why didn’t Watson answer Bell using that brand new telephone, they ask. And if Bell shouted his words and Watson were in the very next room, he’d very likely hear them without the phone, they suggest. Watson’s diary says Bell’s words were actually “Mr. Watson, come here, I want you. ” a minor difference but just chock full of innuendo, they say, eyebrows raised. And some even suggest that the incident is all fabrication, that Bell actually stole the idea for the telephone from another inventor, Elisha Gray. History does not record Bell’s disappointment when he tried to duplicate the experiment and was put on hold. New Mexico State University’s first ever graduation was to have taken place on this date in 1893 but was abruptly canceled when Sam Steel, the lone graduating senior, was shot and killed while delivering milk the day before graduation. 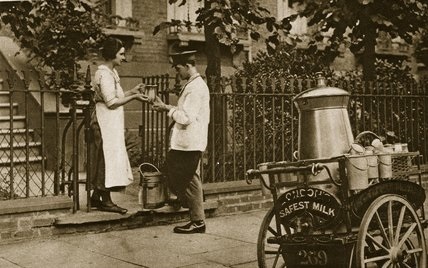 Knowing what we do today about the reputation of milkmen, one might speculate that there could have been a slight provocation.